Passengers may face chaos today and tomorrow due planned strike action by European air traffic control staff. Although Britain and Ireland are not directly affected by the strike, with air traffic controllers in the UK working as normal today and on Thursday, travel disruption are still likely to hit most passengers. NATS (National Air Traffic Services) said that the industrial action as been planned across Europe, with strikes in Italy and Portugal planned at time that differ from country to country. Italian Air Traffic Control personnel are on strike today from 1pm local time until 5pm local time, while Portuguese controllers between 7am to 9am local time and 2pm to 4pm local time. The action will continue into Thursday with the French Air Traffic control staff likely to take part. Delays are expected to result from the knock-on impact of the strike, and major airline companies flying to Europe Ryanair, British Airways and EasyJet are warning their customers that some flights will have to be cancelled. Passengers are invited to keep checking the updated status of their flights on the company's website before travelling to the airport. 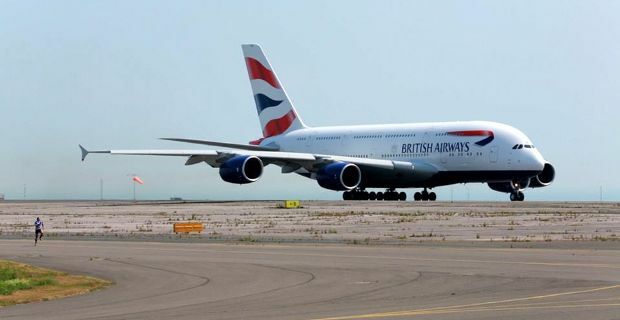 Both British Airways and EasyJet said they have already re-scheduled a number of flights, with BA offering customers affected by cancellations the chance to continue their on other flights, this involving the company employing larger planes. A spokeswoman for BA said that today a number of flights to and from Italy has already been cancelled, while Ryanair said that the strike in Italy is likely to cause more than 80 of its flights to be cancelled. The industrial action is being staged in protest against the European Commission's Single European Sky initiative. The strike has been called by the Air Traffic Controllers European Unions Coordination (ATCEUC) - an umbrella group that represents 14,000 members across 28 countries. Protests against the Single European Sky started in 2013, with ATCEUC previously calling for a 'Day of Action' in October but then cancelling due to assurances of further negotiation.